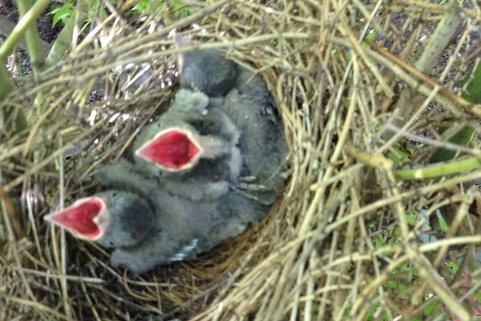 Working in the Hedrick Gardens! 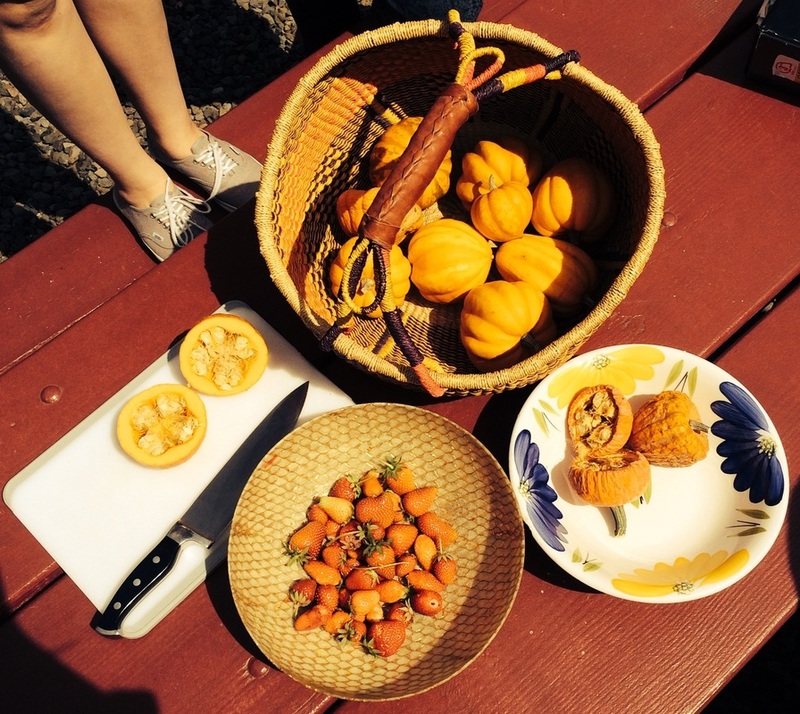 Students planted winter squash seeds from last year's harvest and snacked on fresh-picked strawberries! 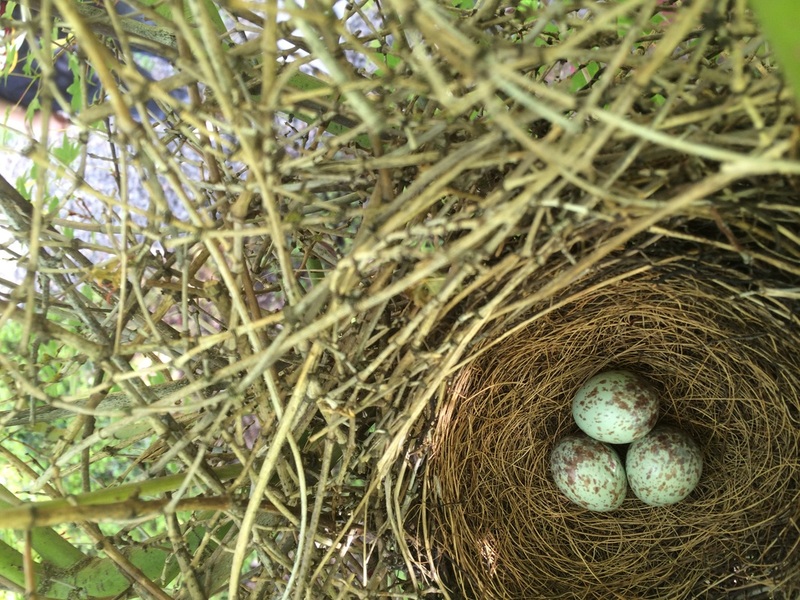 We found a scrub jay nest in a maple tree in the garden courtyard -- and a couple brave volunteers carefully took photos of the beautiful eggs inside! Click on the photo for more information about our Hedrick Gardens! 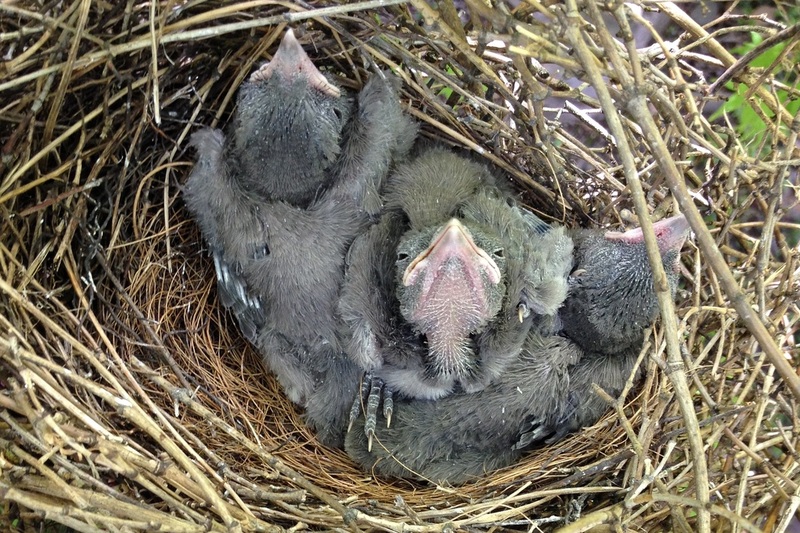 ...and now we have three hungry baby scrub jay chicks!